Start taking classes at Diesel Gym and other studios! 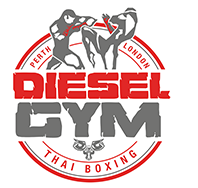 Diesel Gym is located behind Barker Smith Accountants and Cafe Winton Lunch Bar. Super hard &amp; get work out!! An intense work out not for the faint hearted. The instructor was really approachable and went through any of the exercises I wasn't sure of. Defiantly able to go at your own pace so don't let the advanced fitness of everyone else out you off! An awesome workout to get the heart pumping! This one on one self defence class was a great introduction to the gym and what it is all about. All the staff were super lovely and very encouraging!